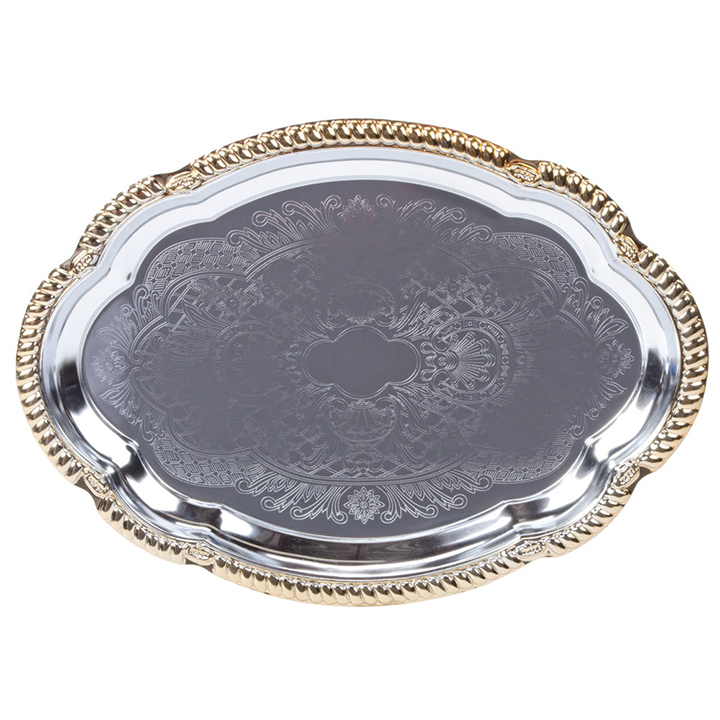 For the ultimate feel of sophistication, this "Stainless Gold Trim Oval Tray" will set a classy tone. 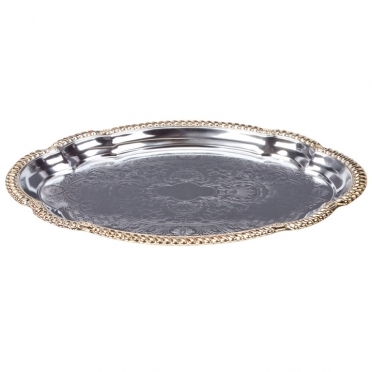 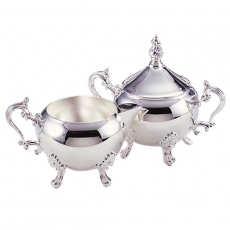 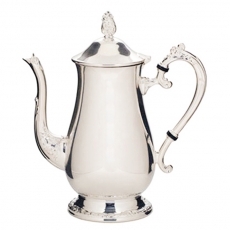 It is the ideal piece for an upscale wedding or social gathering. The oval shape offers enough space to display various appetizers, deserts, and drinks. Thanks to the chrome-plated finish and gold accents, guests are sure to be impressed by your food service.